Another weekend is here again. 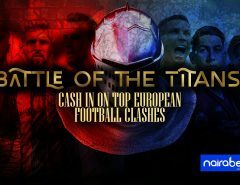 With the Champions League quarter-final draw and the draw for the Europa League quarter-final kicking things off, this weekend has started on an exciting note. It may not be a Grand Slam tournament but this is one tennis tournament that featured the likes of Roger Federer, Serena Williams, Juan Martin del Potro, Simona Halep and many more A-list tennis stars. With the tournament set to come to an end this weekend, both the Men’s category and the Women’s category are already in the semi-final stages. Roger Federer will take on B. Coric in the first semi-final of the Men’s category. Do you think the Swiss star will be able to make it to the final? Click here to back Federer and win big. In the women’s category, big names like Venus Williams and no. 1 seed, Simona Halep will be taking on Kasatkina and Osaka, two names that have upset the odds on their way to the semis. Do you think there will be more surprises in the Women’s category? To an extent, there will be limited Premier League action this weekend as most of the PL teams (7 of them) will be busy trying to qualify for the semi-final of the FA Cup. The giant-slayers in Wigan Athletic will host Southampton while Manchester United will welcome Brighton to the Theatre of Dreams. Leicester City will welcome Chelsea to the King Power Stadium while Swansea City will be happy to face a Tottenham side that is without Harry Kane. Which of these eight sides will make it through to the semi-final of the competition? 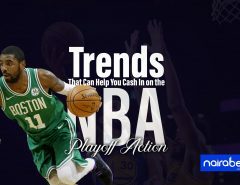 Top-most on the agenda of most NBA franchises like Philadelphia 76ers, Milwaukee Bucks, Utah Jazz, San Antonio Spurs and Miami Heat is to make it into the NBA Playoffs. For Utah Jazz, they’re on an eight-game winning streak, which means the winning run may continue. Miami Heat, LA Clippers and the Bucks will be looking to snap out of their losing streak and return back to winning ways. Click here to check out the available NBA games to place your wager on this weekend. After Round 1 of this PGA Tour in Orlando, Henrik Stenson (-8), Jimmy Walker (-5), Rickie Fowler (-5), Patrick Reed (-4), Justin Rose (-3) and Rory McIlroy (-3) are all among the leaders. Tiger has been enjoying a good run of form recently, finishing second in the just-concluded Valspar Championship. But this one in Florida won’t be an easy run for the golf legend, judging by the number of players he has to perform better than. The tiger is back in his usual hunting ground. Do you think Tiger Woods will be able to win this one as he prepares for the Augusta Masters coming up in three weeks time? 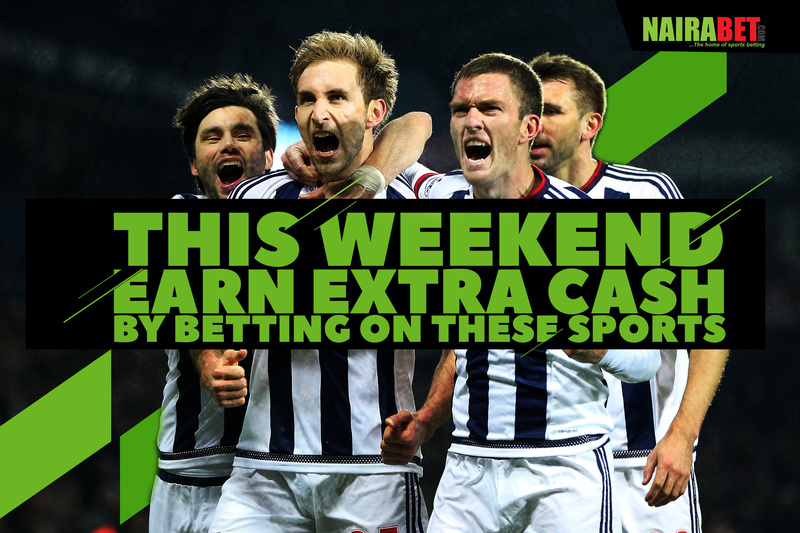 Click here to place your bet and enjoy some extra cash this weekend. PS: To be able to make money from betting this weekend, you need a NairaBET account. 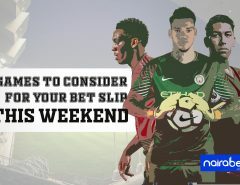 Click here to quickly open your NairaBET account and enjoy a winning weekend.